We are leading Manufacturer and Supplier of RCF Speakers and Speaker. Quantum usb powered speaker with aux input. Our organization is well known in the industry, engaged in offering a broad range of USB Powered 2.0 Speaker to our prestigious clients at reasonable prices. 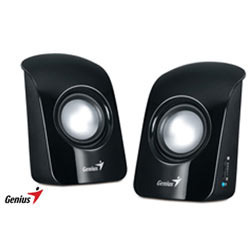 Genius Compact Desktop 2.0 USB Powered Speaker. - Patented sound technology for unmatched experience. - Extra strong grip to hold speaker for long time. - Changeable rings to match your laptop colour. 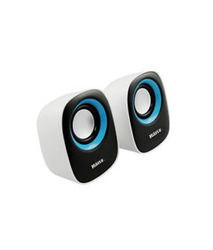 USB powered speaker for laptop and desktops.